The modern version of the Brown Derby began at the Vendome in Hollywood's sunset strip. Interestingly, most cocktail-centric literature refers to it as the Vendome Club, while other articles about the establishment and its owner, Billy Wilkerson, list it as the Vendome Cafe or simply as the Vendome. 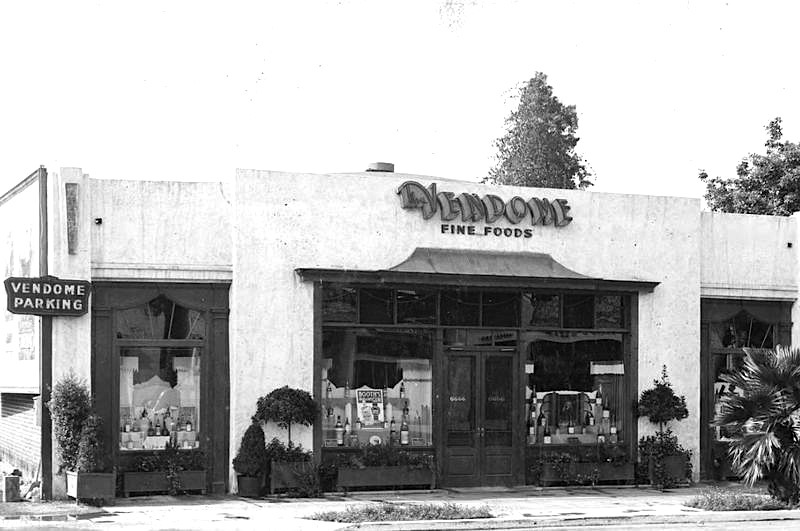 Wikipedia, strangely, calls it the Vendome Wine & Spirits Co. One photo of the storefront, taken in 1933, shows the title without any supplementary nouns. The location this photo was taken at (6666 Sunset Blvd) would be the right spot, as it was just a few blocks from one of the four hilariously-shaped and very popular Brown Derby chain restaurants, for which the cocktail was named—either out of appreciation or ridicule. 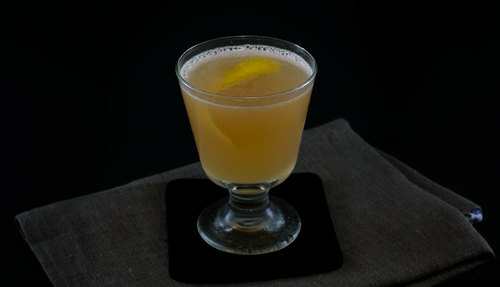 The Brown Derby is a spectacular cocktail for spring and summer. 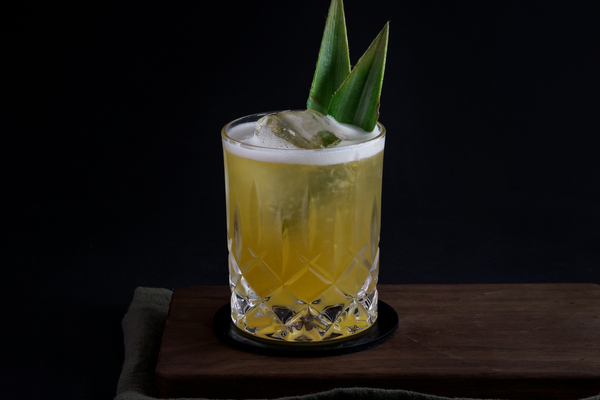 It has a light, yet satisfying body and a fruity, smart flavor that accompanies brunches and evening happy hours with gusto. The drink is very smooth, with a big whiff of bourbon and grapefruit on the nose. The sip is mostly grapefruit at first before finishing with a pleasant sweetness from the syrup and spiciness from the bourbon. It has a sunny, yellow-orange hue and a creamy, opaque tone. While it is maybe not quite as good as its kissing cousin, the blinker, the Brown Derby succeeds as a utilitarian beverage that requires only the most basic household ingredients to make. 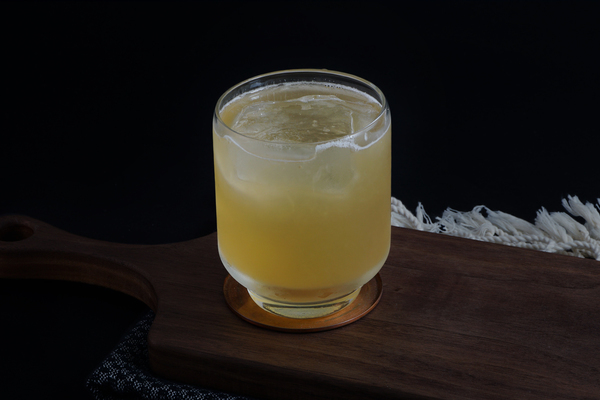 Bourbon and grapefruit are an easy combo to find, even in homes without a bar, and the honey syrup can be replaced with regular sugar. Despite its simple recipe, the drink is complex, smooth, and round. Feel free to cut into the sweetener a bit for a dryer drink. As with any bourbon cocktail, don’t choose anything too fancy or complex. 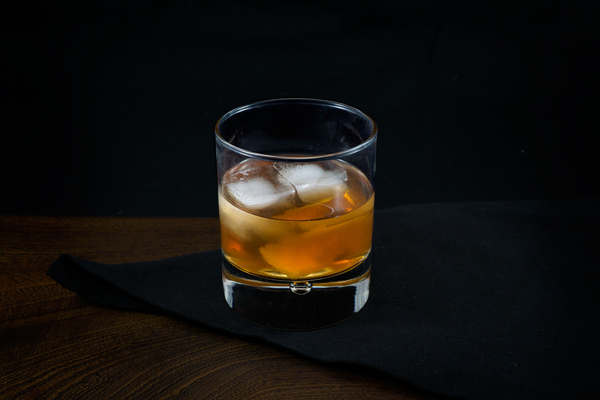 We often like Four Roses in our cocktails, though Bulleit would be a nice choice too.